Now Available for Christmas here on the NAEF shop ready for signing by the man himself. At 24 Neil Adams was at the top of his game. He was on the Olympic team, had almost every Judo championship title in the world under his belt and had recently been awarded an MBE. This is not his Olympic Story. This is not a 'good old, glory days' kind of tale. This is about what happens after, when the sponsors have disappeared, when the shine of the medal has dulled into the public's distant memory. When you are left alone to deal with bills and life decisions that suddenly have nothing to do with Judo, BBC Superstars or Glory. This is the story of a man rebuilding his life on and off the mats. 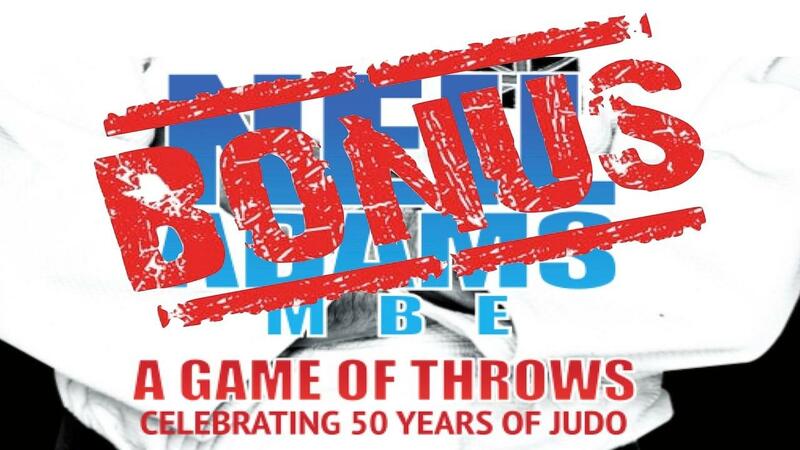 Neil Adams MBE is celebrating 50 years of Judo by sharing what he hopes to be his legacy. This is not only the highs and lows of 30 years after the Olympics, but the journey that made him the man he is today. Neil's judo path has certainly been a journey and it was difficuly to include everything. So here we have it. Some stories were scooped up from the editing floor and pasted here. We hope you enjoy them along with videos that illustrate those who have impacted on Neil.